In IT outsourcing one does not need to go too far to get ultimately familiar with its ugly side. However, despite all disappointments and failures I honestly believe in offshore capacity and its positive impact on the industry. I’ve seen enough success stories to continue using offshore resources myself and recommend it to others. 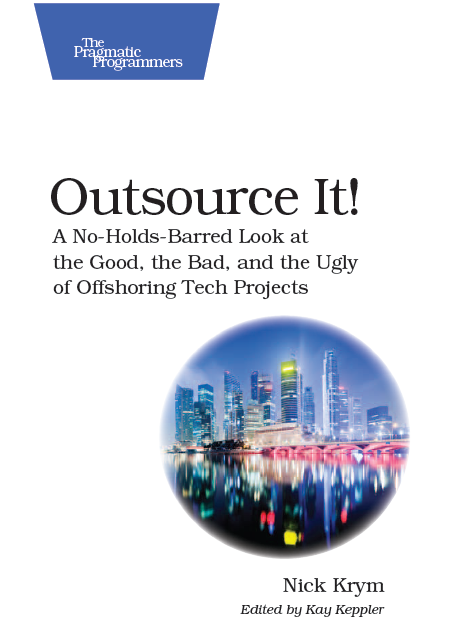 Offshore outsourcing is one of most powerful weapons in a technical leader’s arsenal. And like any other powerful weapon it requires careful handling and a great deal of knowledge in its use and application. Ugly enough even slight mistakes in its utilization could cost companies enormous pain and expense and technical leaders their reputation and career. The goal of this blog is to bring to everyone involved in offshore outsourcing my 5 T’s – Thoughts, Tools, Tips, Tricks, and Traps of outsourcing. I hope you find it helpful.